Competitive pricing, plus a perfect safety record since 1989. We are a true full service high rise painting company, industrial painting and commercial painting contractor with the experience and passion for quality to get your job done right, no matter how difficult, large or small. We own extensive access equipment, including six complete sets of high rise swing stage scaffolds, a JLG 135 ft Ultra Boom man lift capable of fourteen story reach, along with company owned medium sized booms together with all types of painting support equipment, structural concrete epoxy injection skill and concrete crack epoxy injection equipment we are able to complete any type of exterior painting job thereby passing substantial cost savings on to building owners. 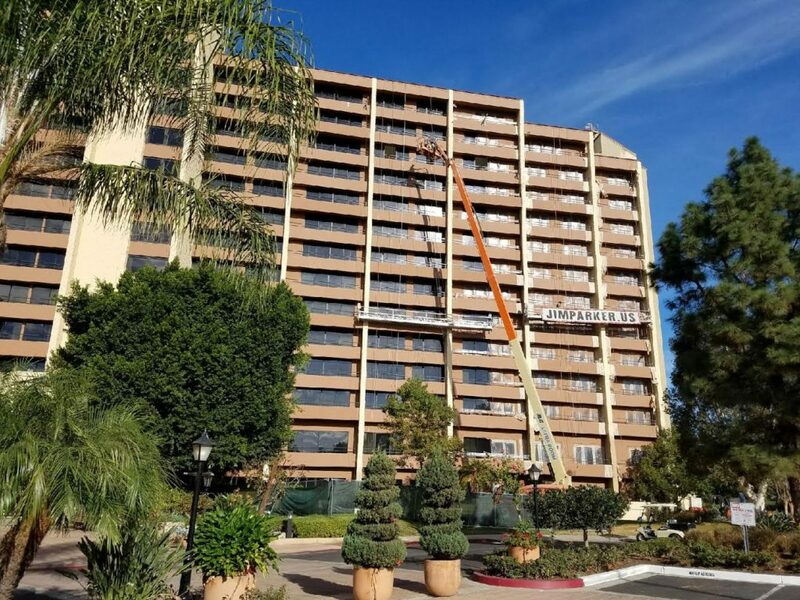 Since 1974 we have done numerous high rise commercial painting jobs through out the western states including Hawaii and Alaska. 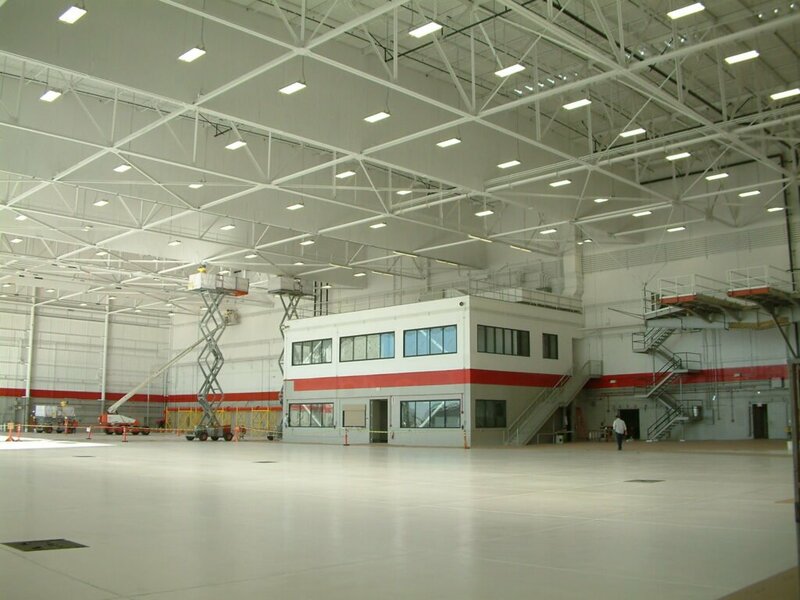 We paint all types of office buildings, warehouses, schools, churches, aircraft hangars, tanks, stadiums, both interior and exterior. With over forty four years of continuous commercial industrial painting experience under the same state license number we are able to give all building owners the very best in materials, job execution, and workmanship. 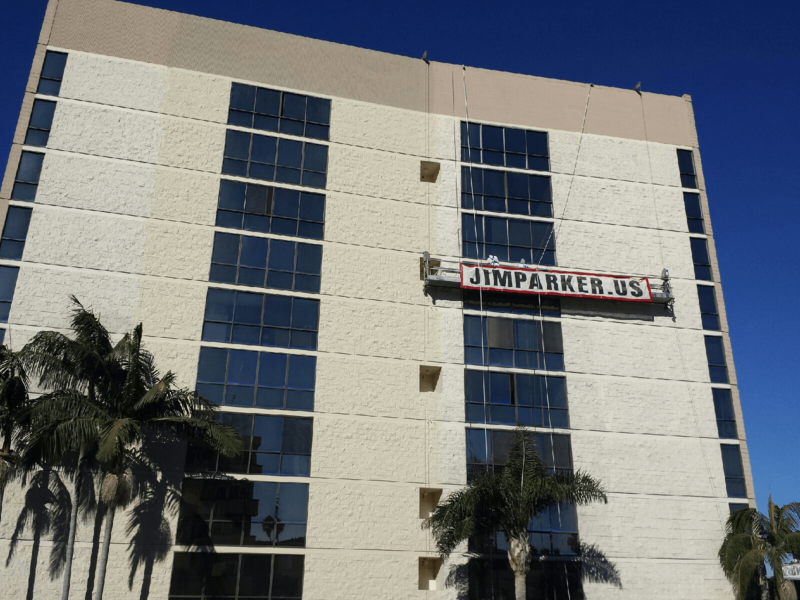 When searching for a high rise painting service ask how many high rise jobs the company has completed and when, Jim Parker has completed over twenty high rise building painting jobs just on Wilshire Blvd alone. We restore all parts of building exteriors, and interiors performing concrete spall repair, structural concrete crack repair by epoxy injection, window caulking – glass to metal, window joints and more, apply OEM paint coatings to restore window frames, waterproof coatings for walls, all types of surface preparation including abrasive blasting. We can offer full labor and material warranties. 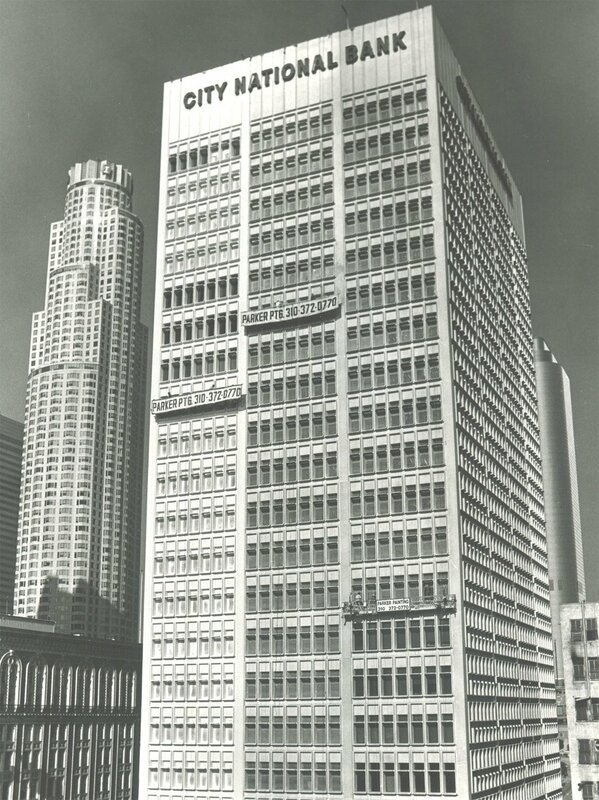 Our work lasts well beyond twenty years, see the 606 S Olive 27 story building below. We service the greater Los Angeles area, surrounding counties and all of California. 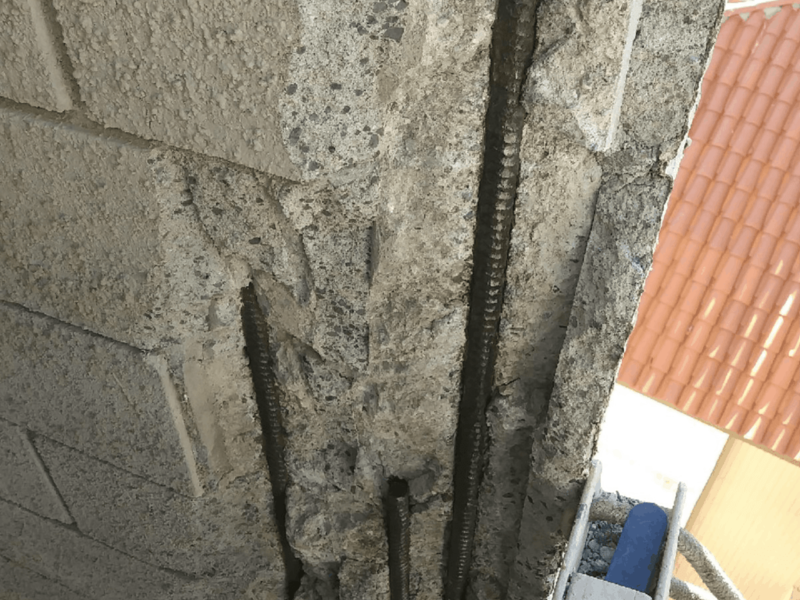 As a property owner or asset manager your time is very valuable, when you use Jim Parker you can be sure that the job will be headache free, done safe, executed properly and promptly with the best high quality longest lasting materials available. As proof of the large scope, complexity, and difficulty levels of our work we are posting jobs in progress photo documentation here on our website AND our social media links. Also something you will Not see on other painting contractor websites please view our Actual Owner Signed Reference Letters on their own letterhead along with Labor and Material Warranties of our many past commercial painting, industrial painting, and residential painting projects and signed testimonial reference letters. specializing in painting high rise, condominiums, and difficult jobs. Click here to arrange a job site conference. We are a full service Commercial, Industrial painting contractor specializing in high rise painting, electrostatic painting, concrete repair, Venetian plaster, glass to metal wet glazing and waterproofing with company owned aerial booms and swing stages.